When it comes to buying a phone, we tend to look for the price as well as the brand. For people who are looking for a budget friendly smartphone that too under a set price range and a promising brand, then, Celkon is the one for you. Celkon is an Indian mobile manufacturer that makes budget friendly feature phones, smartphones, and tablets. Celkon launched the Celkon A35K Report on July 3, 2015. It’s a slim budget phone with 3G availability and adequate features. Talking about the specifications, the device includes a 1 GHz single-core processor coupled with 256MB RAM. The A35K Remote houses 512MB of internal storage that can be further expanded up to 32GB via a MicroSD card. It boots on Android v4.4.2 KitKat and is powered by 1400 mAh Li-ion battery. With a 3.5-inch TFT display, this device offers GPRS, EDGE, Wi-Fi, Bluetooth (A2DP), and a MicroUSB port as connectivity options. As far as the cameras are concerned the smartphone is equipped with a 3.2MP rear camera with LED flash and a 0.3MP front camera. This phone is quite efficient as an entry-level smartphone with mediocre features and the Celkon A35K Remote price starts at INR 2,349. 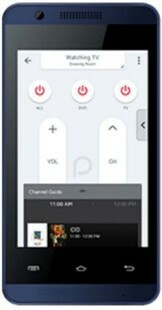 Celkon A35K Remote full specs and reviews as of Apr 2019. Buy it here!